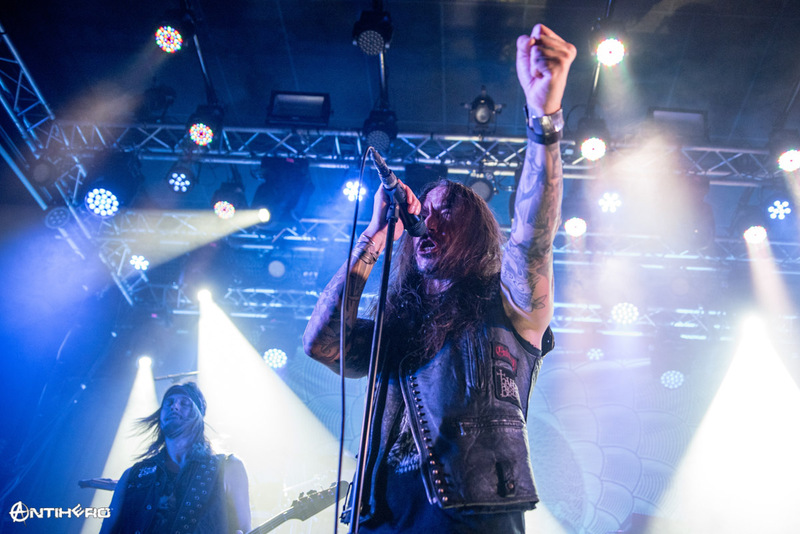 A few days ago, the European tour began for two of the finest Scandinavian bands, Amorphis and Soilwork, joined by a nice couple of support bands, Jinjer and Nailed to Obscurity. In Stockholm, like in many other cities, the concert went sold-out and an excited crowd greeted the four bands. Nailed to Obscurity, who recently signed with Nuclear Blast and released their new album just a few days before the gig, warm up the half-filled Fryshuset with their tasty Melodic Death Metal; with all the other bands’ equipment behind them, the Germans have little space on stage and their performance is not very dynamic, but the music works well with the crowd, who applauds them. Next are Jinjer, a band who conquered the heart of many metalheads in little time, and the people attending this show are no exception: a lot of the band’s shirts can be seen around, and the lyrics of many songs are sung aloud when people are not moshing (something not easy in the cramped, not so big venue). 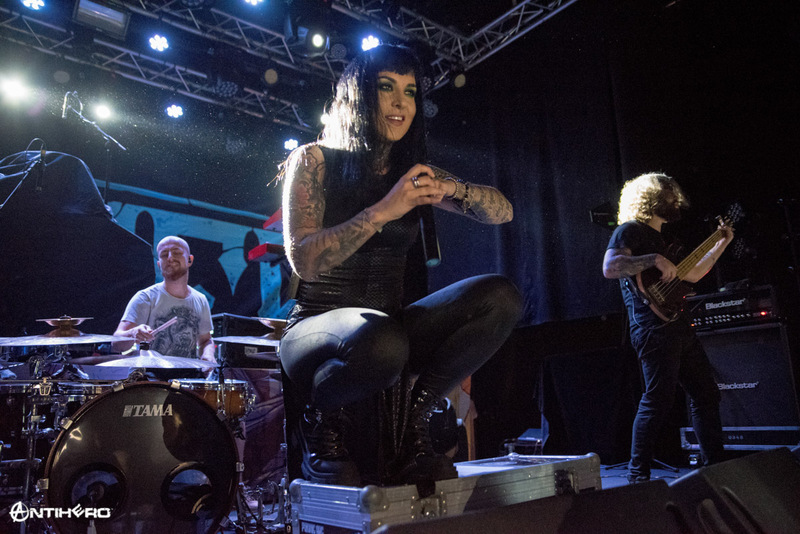 The setlist included almost the whole new EP “Micro”, as well as some songs from the previous studio album, “King of Everything”, all welcomed with enthusiasm by the fans of Jinjer. 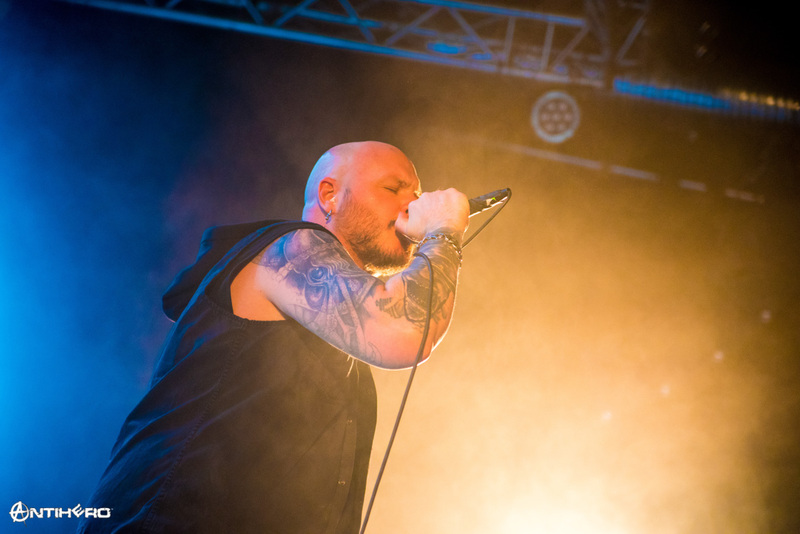 It’s now time for one of the two headliners, the Swedes, Soilwork, who, even though they are not from Stockholm, clearly feel at home in their home country: the vocalist Björn Strid often jokes in Swedish with the crowd in-between songs and leans from the stage to first bump his fans. With co-headlining tours often the bands’ setlists are shorter than their usual, but that’s not the case tonight and Soilwork play a nice 16 songs-long setlist. Of course, a big chunk of it is reserved to new music, the new album “Verkligheten” was released just a week prior to the gig, and the single “Arrival” is the one chosen to open the concert. The new tracks work well live, and blend in nicely with the older ones in a well-balanced setlist that includes songs from almost every album of the band. After about an hour and a half, Soilwork leave the stage and Amorphis take the lead. 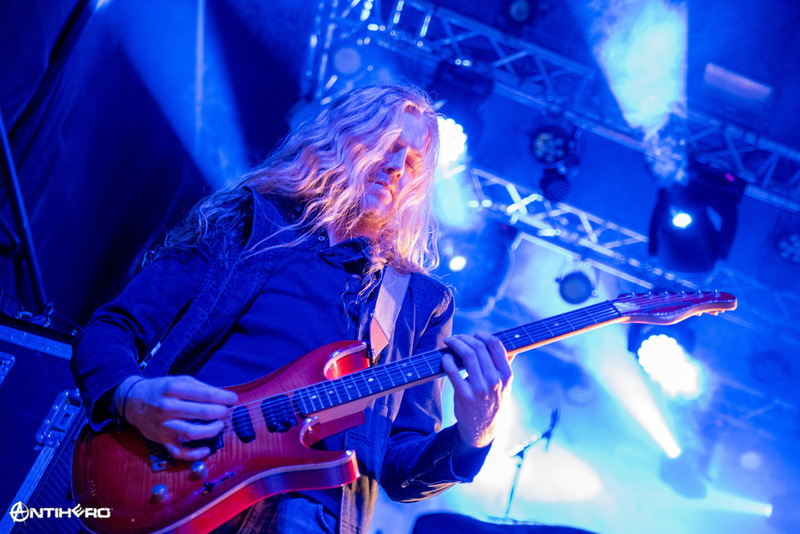 The Finns are on the tour promoting “Queen of Time”, the album released last year that included, for the first time since the legendary “Tales from the Thousand Lakes”, all of the four original members of the band. While it’s great to see them together again, unfortunately, they chose to focus on the new album instead of playing the music from when they were originally together (the first two albums); maybe they’ll do a tour playing “Tales” in its entirety in the future, as many bands do nowadays. Back to the concert, like their co-headliners, Amorphis play many new songs (more than half of the new album) and start with a recent single, “The Bee”. If the Finnish band plays some songs less than their colleagues, 14 including the encore, it’s just because their songs are longer and the performance lasts about an hour and a half for them too. Strong lights light up the stage, and the six musicians deliver a powerful and entertaining performance; the setlist included only songs from a handful of albums from the second half of their career, with the addition of “Black Winter Day” from “Tales From the Thousand Lakes”, and the fans seemed to enjoy this choice as they greeted the band loudly. Even more loudly they sing the chorus of “House of Sleep”, the epic song Amorphis chose as the last one for tonight. This tour brings together a great package of four quality bands, delivering almost 4 hours of (mostly) Melodic Death Metal which all the fans of this genre will surely enjoy!